you know what i realized with this one? a nature getaway for the weekend is really really possible! plus, i got to know the limitations and capabilities of our car, weaving through the ‘bitukang manok’ (chicken intestines) of the foothills of Rizal! so, this is the weekend getaway/birthdaycation gift to two of the important men in A’s life: our little bundle of kulit, and her father! 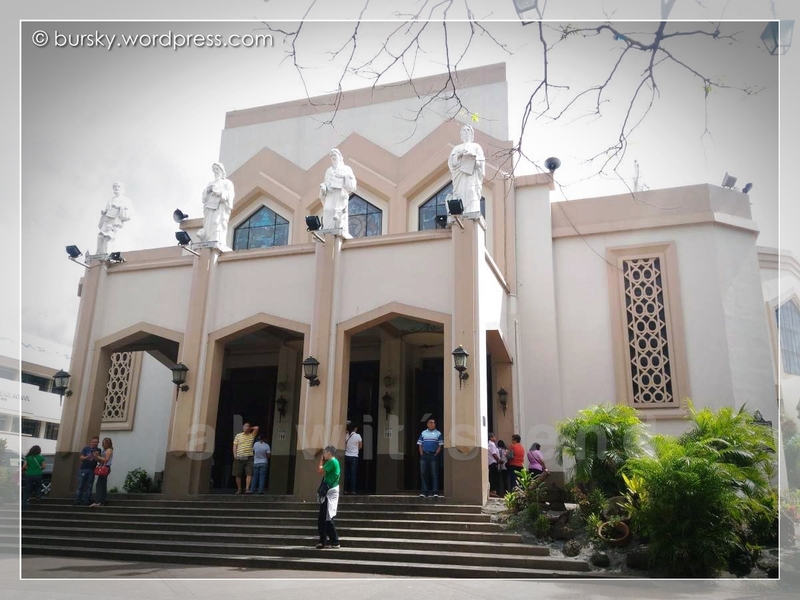 our first stop was the Antipolo Cathedral, a.k.a. the definitive destination for your car blessing. we didn’t go there to have the car blessed, but to hear mass. unfortunately we were a bit late leaving the house (as is common with pinoys, eh?) so i opted to go to adoration instead, albeit a quick one as the little guy was getting fussy outside the chapel. TIP: let yourself be guided to a parking slot if you are unfamiliar with the area. they’re really hard to find. we easily were found by one and offered us their homemade goodies. not sure if the prices were a bargain but the quality seemed pretty good as was the taste. our next stop was the actual gift to the main celebrant: Pinto Art Museum. my father-in-law has a great appreciation for the arts, often looking at (and sometimes buying) paintings. no, these aren’t those “branded” ones — just the ones that he fancies (although i really think he wants one of them. i just don’t know yet his actual preference/ taste in paintings). it was my first time in Pinto Art Museum as well. we still had our guide with us, leading our way in a scooter. we gave him P50 for the trouble although he didn’t ask for any. entrance to the subdivsion (road user’s/parking fee?) where the museum was located is P20. at first, you would think, ‘yeah. this is nice and cozy.’ but once you explore it, you’ll need half a day or more to fully appreciate everything. and because it’s in antipolo, you have to be prepared for a lot of stair climbing. but the cool breeze and numerous resting spots help you get through the entire museum. we even had a snack in between our exploration of the entire place. all you want is a BLT sandwich but you can’t have your BLT. you have to hold the bacon because it’s supposed to be bad for you. ayan na naman ako sa mga metaphors ko. hahaha! but sometimes, life gives you this BLT but tells you not to have it with bacon. and because you care about life, you stop eating bacon. then you begin to feel lousy. you give up that slice of happiness for “something better”… to some, perhaps, but not you. anak, isang taon na naman nakalipas. ilang gabing puyatan na naman, ilang diaper na naman ang pinalitan. ilang damit na ba ang nilabhan? damit na bago at damit na kinalakihan. dahil isang tingin lang, alam kong wala kang kasalanan. mahal na mahal na mahal kita.